The TAKE-A-LABEL Model TAL-750 using an all steel and aluminum construction will dispense virtually any non-transparent label (No Clear Labels) up to a web capacity of 7.5". The operator simply removes the partially dispensed label and the unit will automatically advance the next label for the operator. While winding up the waste liner. The open peel plate design allows for easy removal of the label by the operator, as well as the ability to run multiple labels on a common web saving time and money. 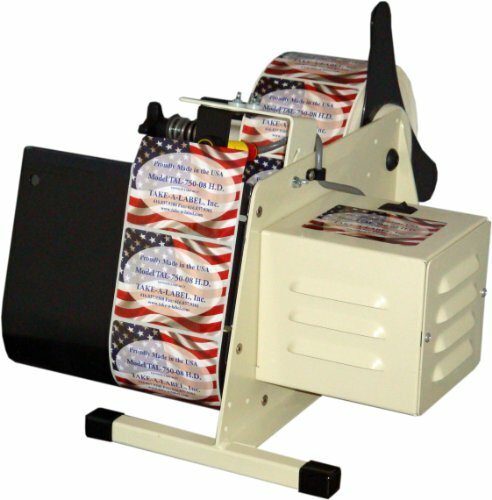 Web Capacity up to 7.5"
Roll Diameter up to 12"
View More In Packaging Labels & Tags. If you have any questions about this product by Take-a-Label, contact us by completing and submitting the form below. If you are looking for a specif part number, please include it with your message.